HAPPY NEW YEAR, TO ALL & EVERYONE! Yup! It's that time again. Hmmmmm...wow. I used to always say, "This new year is the one! The one where everything great happens and I get over the hump and all my dreams come true." I no longer say that. Or even think that. These days I just keep it simple when it comes to New Year's hopes and resolutions––I try to expect nothing, hope to anticipate the worst before it knocks me off my feet completely, and wish for the best (whatever that is). What will be, will be. Even so...HAPPY NEW YEAR EVERYONE! 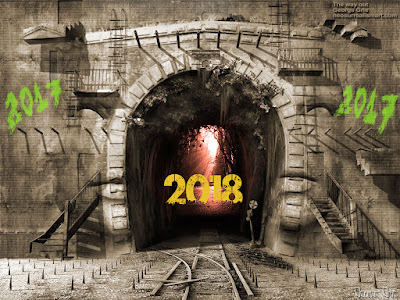 2018 has arrived!